Note: You cannot get the real feel of chiropractic care by browsing this website. Why wait? Pick up the phone. Watch the 2 orientation videos before your first appointment. 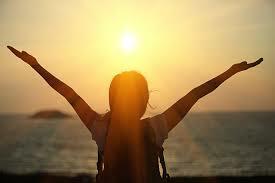 Life should be high-energy, fulfilling, and meaningful. You are meant to be a driving force in the world, making a difference to others around you. Poor health can slow you down and disrupt your plans. Chiropractic is a life-long approach to enhance your own unique innate ability to heal and thrive. Would you like to restore essential connections? You may come in with a focused health concern, but my goal is to re-form your interest today to your broader future. The chiropractic approach can teach you valuable health practices that can build an awesome future for you. Are you ready to think outside the box? I expect your perspective to change as you welcome a new health experience that stays with you the rest of your life. Please understand, we don't treat aches and pains. We learn what the body is asking for so we can rebuild it with some fabulous chiropractic tools. Me: I realize that. But let me offer a different way to translate your body's language and give you a new health experience. Mild pain? Nagging pain? 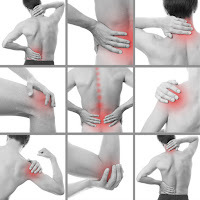 Chronic pain? Your joint pain is an auto-immune disorder in the baby stages. You may already have an auto-immune disorder attacking other organs. The joints are not independent of the organs. They all need the same things for healing. All diseases are auto-immune so don't let pain progress. The prevention, treatment and cure are all the same. The chiropractic approach offers you this. Get in the office and learn what Advanced Chiropractic can do for you.